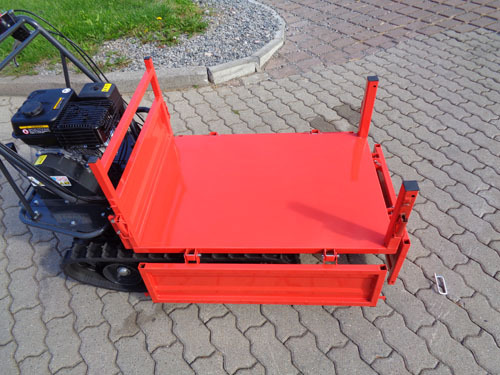 We are the specialists in track dumpers. 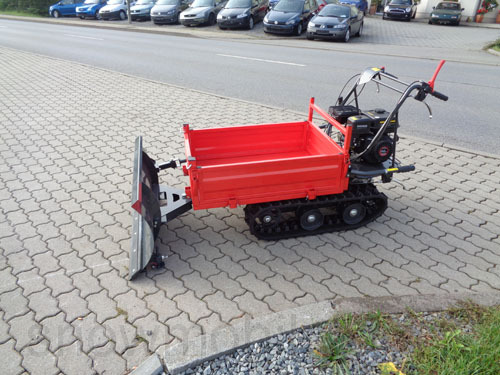 Tracked dumpers are used for transporting bulk materials such as gravel, sand, wood or salt. 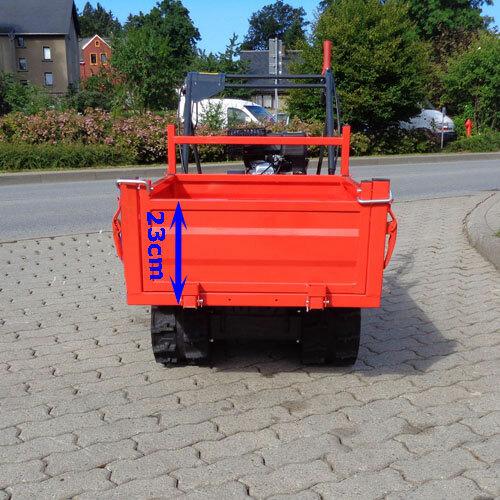 A dumper can also drive on steep slopes and carry items easily over bumps. 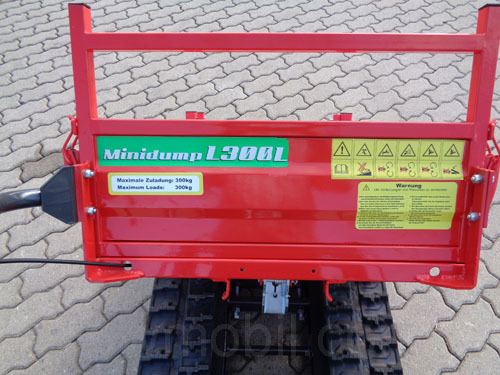 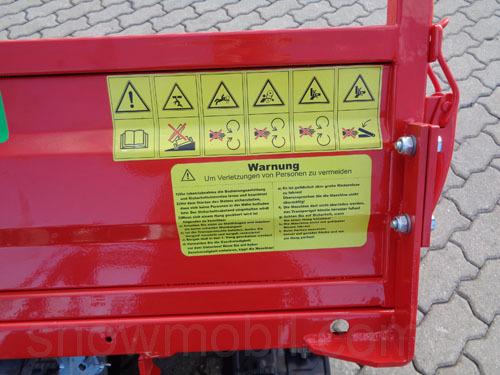 These dumpers have rubber tracks and have therefore a lot of grip on smooth, slippery and / or muddy soils. 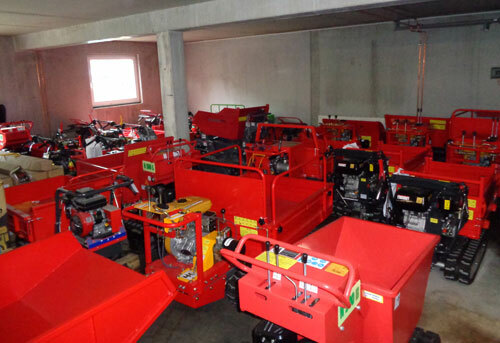 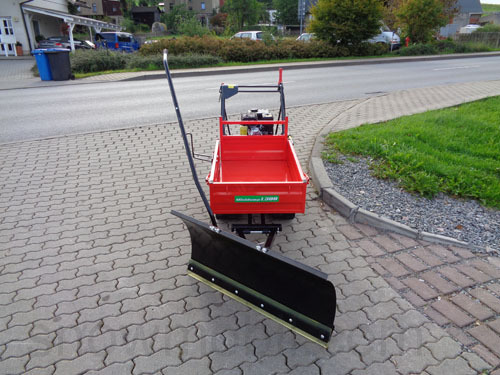 There are many uses for these devices, also use in winter maintenance / snow and ice control is possible. 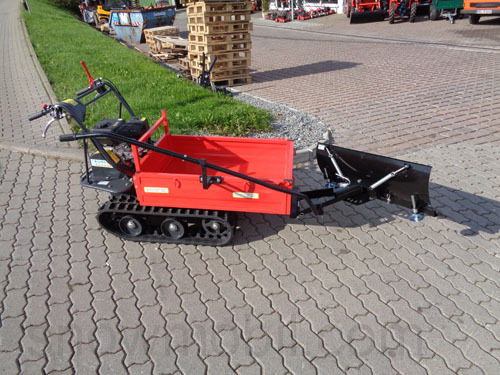 We offer this rubber track dumper for a surcharge with a snow plow. 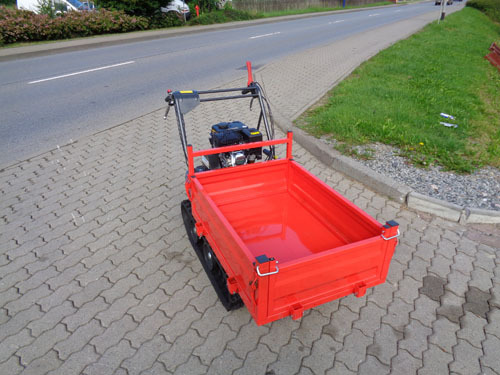 INNOVATION! 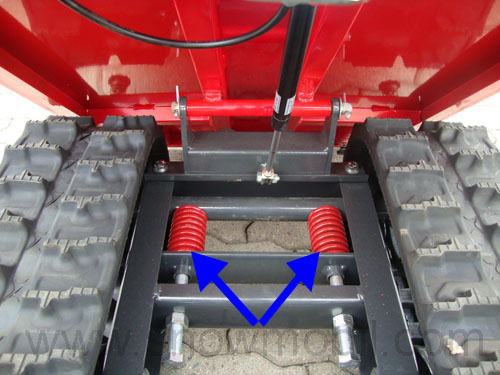 The track system has back pressure springs. 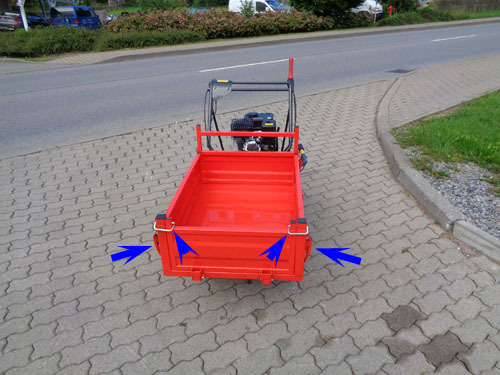 The skip got installed a gas cylinder for better tilting. 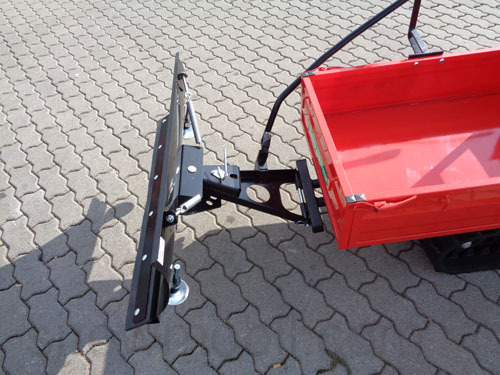 With the new tilt lock the skip can be locked with a light hand pressure at the transport position. 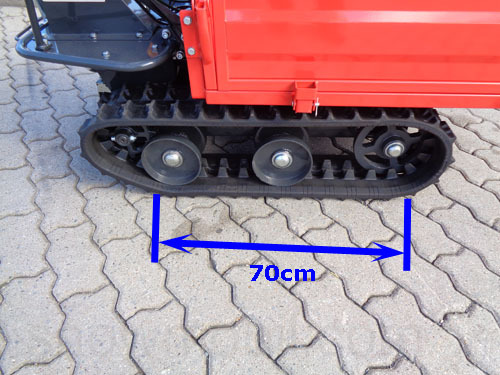 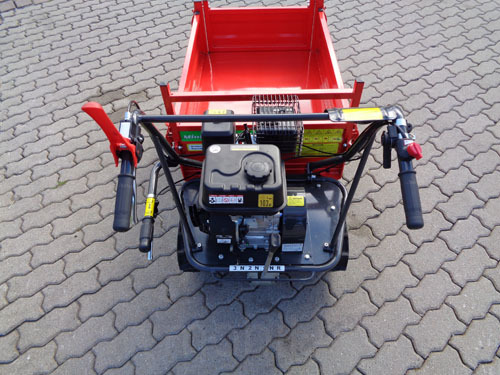 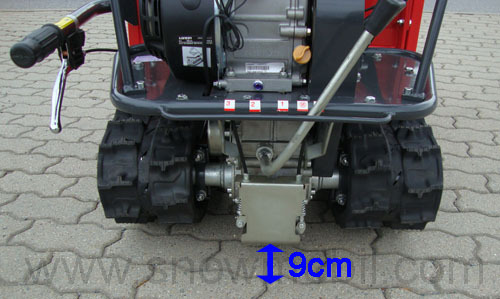 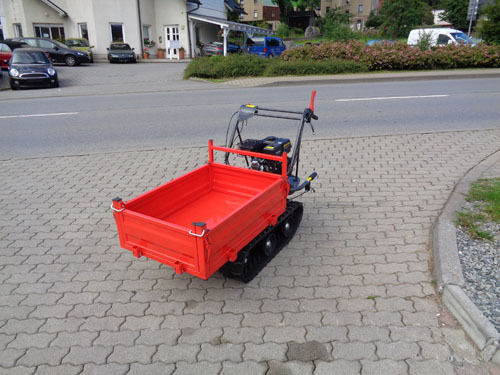 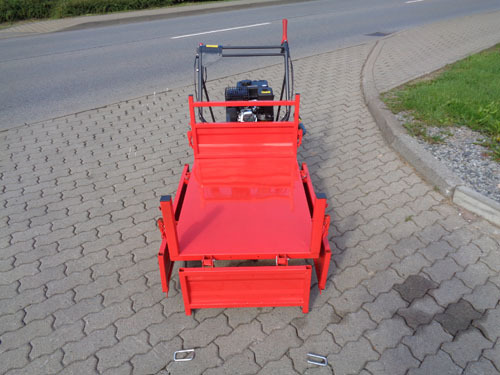 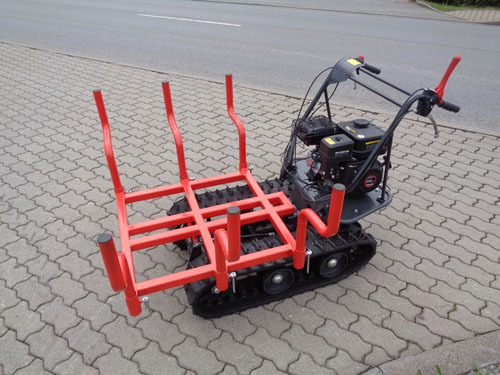 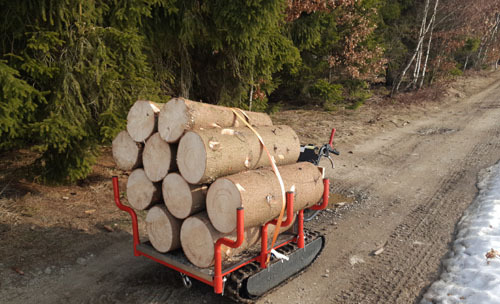 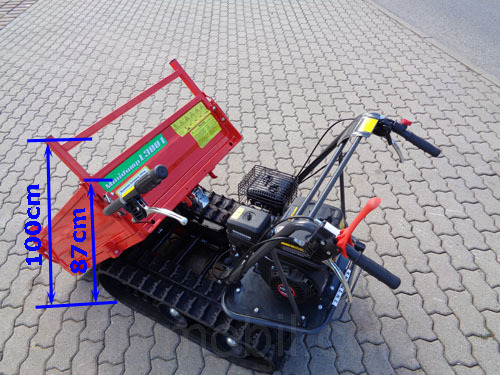 As an accessory we can provide a spring damper snow plow clearing width of 118cm and 50cm high offer with thick rubber scraper for 399,00 Euro or with 1m clearing width for 350.00 Euro! 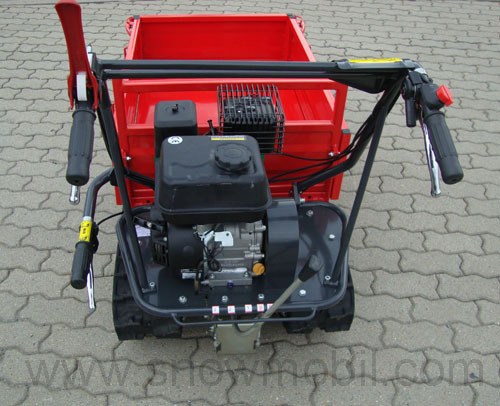 The snow blade can be raised and lowered by means of lifting rod. 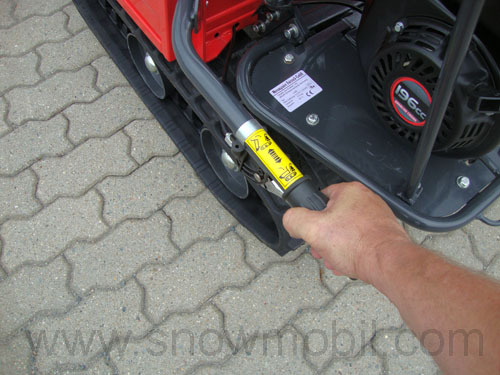 If you pull the spring clip on the snow blade, the blade and can be rotated sideways. 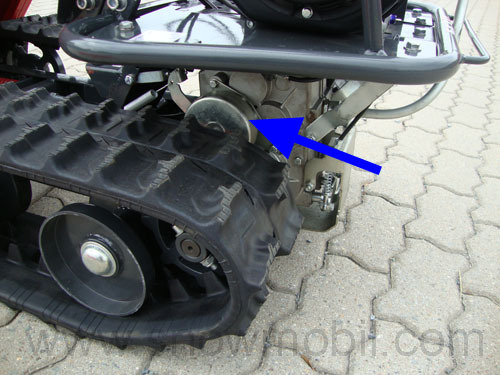 If you drive against an obstacle (eg curb) folds the blade toward the front. 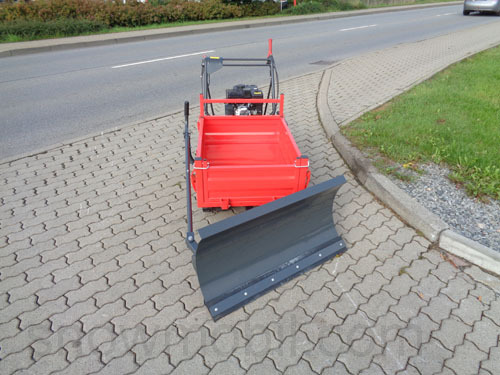 Also we can provide a inexpensive snow plow clearing width of 100cm and 50cm high with thick rubber scraper for 180,00 Euro! 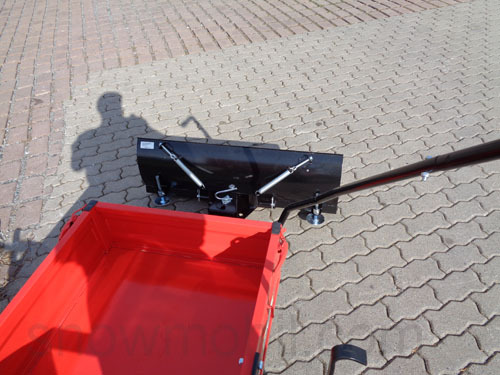 The snow blade can be swiveled sideway. 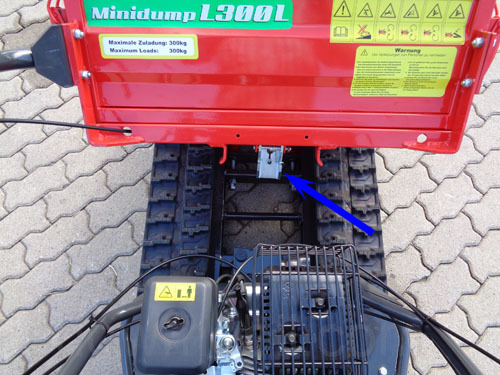 However, it can not be raised, it is rigidly bolted to the dumper. 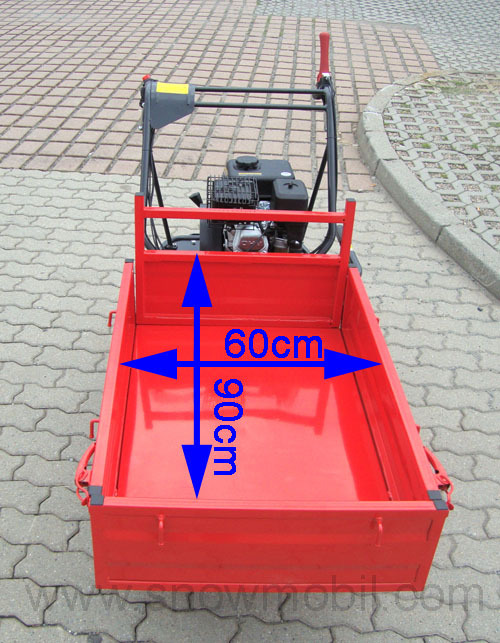 Furthermore, it does not folds away in case of obstacles. Price is only valid in conjunction with a caterpillar transporter!